Gumstix Intel® Suite - Your Stop for IoT and Robotics Development | Gumstix, Inc.
Intel Corporation has announced discontinued manufacturing and selling for Intel Joule and Edison Compute Module. Jump start your Intel® design with custom expansion boards, COMs and accessories for the Joule™ Module, Curie™ or Edison™. Chose a production-ready board, or copy and customize in Geppetto. 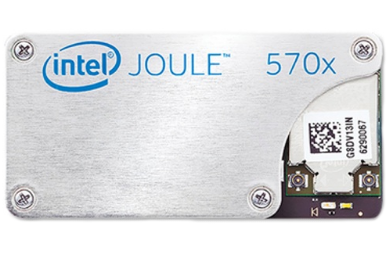 Launch your IoT, Drone or Robotic Device with the Intel® Joule™ 570x Module, HERE! Created just for the Intel® Joule™ Module, this powerful form-fitting fan covers all your cooling needs. The Gumstix lntel® suite supports devices equipped with Intel HD Graphics, 3D modeling, object recognition, and interactive capabilities. It features two new boards, one of which is the newly-released Nodana, the first x86-64 board for Linaro's open-spec consumer level platform. Then we have the Radium 96BIE, showcasing the Intel® Curie™ module on a tiny 96Boards compliant IoT board. 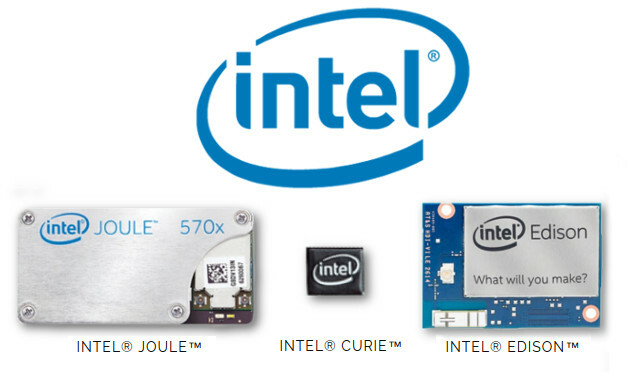 In addition, the Intel® Curie™ module is live in Geppetto! This means that Geppetto-built boards with the Intel® Curie™ module now support Arduino IDE. The Nodana provides both the high-speed and low-speed signals defined in the 96Boards Consumer Edition spec and includes USB 3.0, microSD storage and HDMI. The Curie’s integrated BLE, 6-axis IMU and 32-bit Quark processor make the Radium a powerful platform for IoT development. Arduino designers can rapidly create small form-factor boards for their wearables, IoT and robotic devices. Learn how to upload sketches to the Radium 96BIE with the Arduino IDE. These expansion boards were designed by Gumstix engineers using the Geppetto design-to-order system, and are ready to purchase in the Gumstix online store. MAV powerhouse with USB 3.0 + NimbeLink Skywire LTE modem connector. Complete Linux installation, compatible with PX4. Complete 64bit quad-core media center on a stick. Powerful mini-PC on a 8x8 cm board with HDMI, MIPI DSI, USB 3.0 and Ethernet. Provides a barometer, 9-axis IMU, RGB sensor, temperature and lighting all on a credit card size board. Deploys BIOS updates to multiple modules quickly without swapping them out. Reuse one Intel® Joule™ numerous times without incurring the cost of a mechanical cycle and add an optional expansion EEPROM. You can also copy and customize any of these designs in Geppetto to your exact specifications. Learn more and try a free drag and drop design, today.